While not in the least bit traditional, Gertrude Stein is one of our all-time favorite poets. Born in Allegheny, PA on February 3, 1874, she moved to Paris in the early 1900s where she became influenced by the Impressionistic Art of the time. While in Europ she began writing poetry about a variety of subjects including homosexual tendencies and alcohol. These works include Three Lives (1909), Tender Buttons (1914 and The Making of Americans (published in 1925). Taking the abstraction and cubism in prose, her poetry is almost unreadable. This why is she is referred to as a Modernist Poet because it breaks all forms of the tradition of classic poetry. She died in France in 1946 yet her legacy continues. Some critics are in support of her work saying that is defined a genre while other critics claim that her works are utter nonsense. One of our favorite poems by her is Susie Asado. You can hear it read out loud by this random YouTubber below. For me, her poetry is about the use of sounds rather than the literal story. What do you think? When you are writing a poem or a piece of prose, you have to think carefully about your diction. Diction is a term used to describe the process of choosing the words and phrases that you use within your writing. If you select each word with care, you’ll be able to say things in a more concise and effective way. When you’re selecting words, you can’t just think about their meaning. You also have to think about the way they sound. Many famous poets, like T.S. Elliot, are known for playing with alliteration. Considering the number of syllables in a word is also important. It’s a good idea to use a thesaurus when you write. That way, you can experiment with different words and find one with the kind of sound that you want. When a writer uses too many words, it can be difficult to determine what they are actually trying to say. Unneeded words can cloud your intent and remove clarity from your writing. When you’re focusing on your diction, you need to think about whether or not a word is improving your piece. Don’t be afraid to cut words that are making your intent less clear. As mention in #2, context is important when selecting words. In certain situations, you need to be formal and have formal diction and there are other times where we can be a bit more relaxed and use informal diction. You speak to your boss in a different manner than you’d speak to a friend. Also don’t forget about slang and colloquialisms – an overuse of these can leave the reader confused. Chill wind whispers sweet adoration. In the above excerpt from Night, My Lover by John Anderson, notice how he uses words with ‘w’ and ‘s’ sounds. He did this to portray peaceful calming feelings when reading the poem. In the even that John said “Cold gales talk sugary love”, the meaning or feeling of the poem would completely change. This is how fiction comes into play when writing poetry and evoking a feeling. An allusion is a quick but indirect reference made of a place, thing, or person, or a reference to an idea of cultural, historical, political or literary importance. This reference does not describe the person or thing in detail but is merely a passing comment. The writer of the allusion expects that the reader will have enough knowledge of the person or thing that he or she will be able to recognize it and grasp its importance. 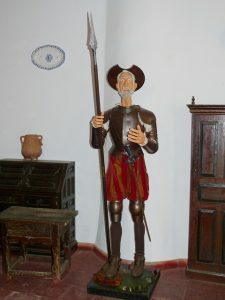 For example, a literary allusion would be, “I don’t support this quixotic idea.” In this instance, quixotic would imply that the idea is “ridiculous and impractical” which is a reference or allusion to “Don Quixote,” a story by Cervantes about the misadventures of a foolish and delusional knight. “The estate’s lavish landscape was like a Garden of Eden.” This biblical allusion refers to the garden from which Adam and Eve were banished in the book of Genesis. “That Kevin is quite the Romeo.” Romeo is a literary allusion to Shakespeare’s “Romeo and Juliet,” a play about star-crossed lovers. “Ever since he landed that acting role, he’s gone all ‘Hollywood’ on us.” This modern-day allusion refers to a place Hollywood, which is known for movies, actors, shallow personalities and big egos. “That candidate is just another Nixon.” This is a political allusion that refers to Richard Nixon’s reputation for being a liar and untrustworthy. Allusions are often used by writers to distill a complex idea or emotion down into a simple word or phrase. The writer can convey an atmosphere, a character trait, or an emotion using a brief allusion. 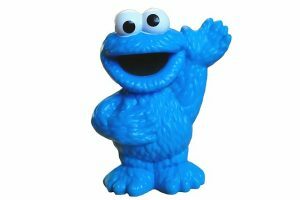 The writer can also appeal to a certain audience and gain their favor by using allusions to a subject of which the readers are comfortable or partial to. For example, using biblical allusions in order to appeal to readers with religious backgrounds. In this verse, Sylvan is a reference to the half man/half goat deity in Greek Mythology. Although technically not a poet, I fundamentally believe that some of the song lyrics that Paul Simon work has the elements of poetry. This cannot be more clear in his song “Leaves That Are Green.” There are many different interpretations of this song. Some concepts that are explored in this song include the passage of time, lost love, life and death, and the impact of someone’s life on society as a whole. Music just a secondary layer that makes the poem even more thought-provoking because it is generally considered a happy tune compared to the darkness of the lyrics. But perhaps that was Simon’s intent all along. This has been done in other songs such as Hanson’s MMMbop where the tune is happy but the lyrics are quite depressing once dissected. Do You Ever Wonder What The Poetic Term “Syntax” Means? Do you ever wonder what the poetic term “syntax” means? 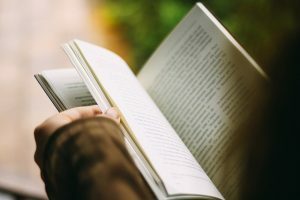 If you ever have to read poetry, especially for an educational class where analysis is part of your course work, then syntax is one of many aspects of writing, literature, and written genres or forms like poetry that you are going to wind up studying. Thus, being curious about the definition and practical nature of the term, as it relates to poetry, is quite understandable. It’s even more understandable if you write poetry. Your desire to write poems is probably just a creative instinct that flows out of you naturally, and the words likely flow just as easily. However, learning all you can about your craft at a critical or academic and technical level is likely to help your poetry and understanding of the art form. 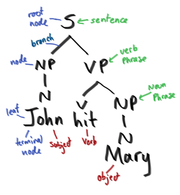 Syntax is generally the sets of processes, principles, and rules that dictate sentence structure within a language or form of literature. Punctuation and word order are of particular importance. The word “syntax” itself is traced back all the way to Ancient Greece, from a word loosely translated as “coordination” formed from the base parts of “together” and “an ordering.” The concept of syntax as a school of thought is often traced back simultaneously to Greece for Western languages and to Ancient India for Asian and Eastern languages and their related dialects. In the realm of poetry, the order of words in a sentence can emphasize or empower or even demote the energy of particular words, particularly subjects and verbs. Some poets even deliberately fracture their chosen syntax beyond what is usually acceptable in the language they are writing in, betting on the reader being able to understand points made outside of the boundaries of conventional syntax. A poet needs to be a master of language. Poets should have a deep understanding of words and how to use them. That’s why poets should take the time to familiarize themselves with terms like spondee. Spondee is used in a wide range of poems. It commonly appears in poems that use five metrical feet. You’ll see it in trochaic meter, iambic meter, and dactylic meter. You may also occasionally see it in poetic forms. 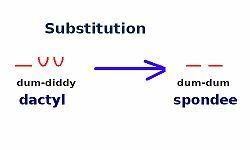 Most poets do not write entire poems in spondaic meter. Instead, they combine it with other forms. Spondee allows a poet to create extremely interesting metric patterns that can make a poem more appealing to listen to. Spondee has been used by many great and famous poets throughout history. For example, spondee is used in the famous poem “The Song of Hiawatha,” which was written by Henry Wordsworth Longfellow. Spondee also appears in poems by Alfred Lord Tennyson and Gerard Manley Hopkins. It even appears in the work of William Shakespeare! Spondee is still used by a number of modern poems. Read poems carefully and keep a watchful eye out for spondee and spondaic meter. You’ll be able to find a number of examples. Spondee is something that every poet should have an understanding of. As a poet, the more you know about words and their rhythms, the better. Researching spondee will allow you to select the ideal words for your poetry. You’ll be able to create poems that will be remembered. What Is The Meaning Of The Poetic Term Anapest? An anapest can be defined as a metrical foot consisting of three syllables, the first two are unstressed followed by one stressed syllable, often referred to as “reverse dactyl” as it follows the rapid pace of the dactyl where the emphasis is placed on the first syllable. Examples of anapest in the English language are words such as “contradict” and “understand”, both of which contain three syllables with the accent on the last syllable. Anapestic words are more common in languages other than English such as French, and many phrases that are borrowed from the French language such as “art nouveau” and “haute couture” contain anapestic words. Examples of the use of anapests in poetry include “The Sick Rose” by William Blake, “The Unknown Citizen” by W.H. 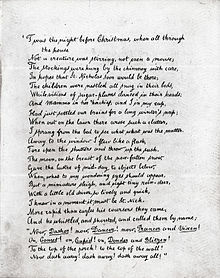 Auden and “Twas The Night Before Christmas” by Clement C. Moore – which is almost entirely made up of anapests. An Anapestic tetrameter in poetry contains four anapestic metrical feet in each line, each foot having two syllables that are unstressed with the stress on the final syllable. Foot refers to the most basic unit of a poem’s meter and is a combination of stressed and unstressed syllables making up a line of the meter. The word “anapest”, also written “anapaest” has an identical definition to “antidactylus” and means “struck back” in Greek. A dactyl is a metric foot where the stress is on the first syllable followed by two that are unstressed, which is why an anapest is considered to be a reversed dactyl. 3. Anapestic Hexameter the least common anapest – contains 6 anapestic feet with 3 syllables each giving a total of 18 syllables per line. Some idioms in the English language are common examples of anapest such as the phrases: “get a life”, “costs an arm and a leg”, “feeling under the weather”, “at the drop of a hat” and the song by Cole Porter: “In the Still of the Night”. Popular poetic forms of Limerick often contain playful anapestic meter.